Students are able to enroll their US bank accounts in direct deposit so that all student loan and account refunds will be deposited directly into the enrolled account. This is the recommended method of receiving any refunds due as it is most convenient and generally has much faster processing times than requesting a mailed check. Only US bank accounts can be enrolled in direct deposit at this time. 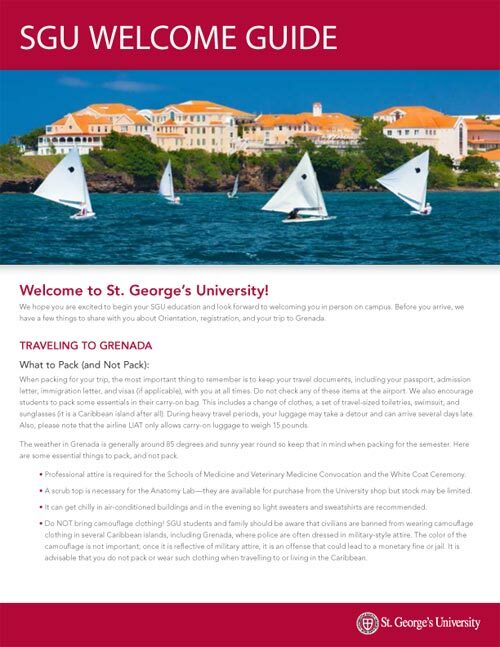 Some students may find it helpful to open a local bank account while in Grenada. Opening a local account may simplify a “savings account” with an ATM card. Checking accounts are only available after a savings account has been open for six months. All banks have branches with ATMs in St. George’s and Grand Anse. Be aware that these banks operate independently of banks of the same names in other countries. Opening hours are typically 8:00 AM to 2:00 PM, Monday through Thursday and 8:00 AM to 4:00 PM on Fridays. Banks are closed Saturdays, Sundays, and on public holidays. The RBTT branch on campus is a full service branch with an ATM. A bank account can be set up with cash, a bank draft or traveler’s checks, and a debit card from home can be used to transfer money into your Grenadian bank account. RBTT advises that the safest way to start a savings account is with a bank draft. The bank draft is considered more secure than traveler’s checks (which can only be cashed to a maximum of $2999). An ATM card can be issued at the bank on campus. Living on campus: Confirmation letter from the housing department. Bank Reference from current financial institution. A letter of good standing/ bank statement/ account status report. When purchasing items in Grenada, prices are quoted in Eastern Caribbean (EC) currency, but ask if you are unsure. The EC dollar is tied to the US dollar at US $1 = EC $2.69. A convenient rule of thumb approximation is to multiply the cost of an item by .4 to arrive at US dollars (for example, EC $5 x .4 = approximately US $2). *All other exchange rates are subject to change. Some, like the British Pound Sterling, may even fluctuate daily. Contact any local bank for rates. Most students will need a minimum of US $2,500 – $3,000 for food and miscellaneous expenses per term. You will need more if you plan to live off-campus or rent or purchase a car. 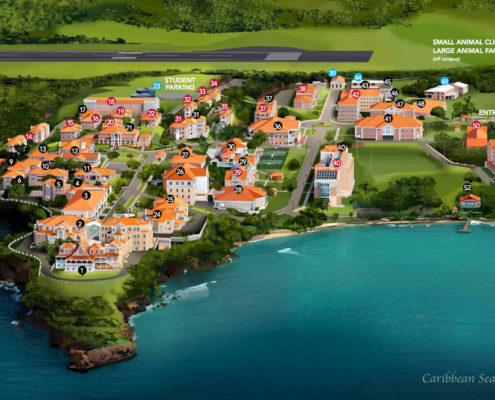 There are several ways to bring money to Grenada, each with distinct advantages and disadvantages. Please visit our financial aid page for more money-saving tips. Need Help Deciding What Is Best For You? The following information about ATM Cards, Debit Cards, Traveler’s Checks, Cash and Credit Cards in Grenada, may help you determine your best option. ATM cards from home can be used at local banks to make withdrawals. The maximum amount that can be withdrawn in a day varies from bank to bank, ranging from EC $1,000 to $2,500. ** The bank will automatically convert funds from your account into Eastern Caribbean (EC) dollars. In other words, you cannot get foreign currency out of a Grenadian ATM. You can expect to be charged a fee from your financial institution for the out-of-network withdrawals. Some local banks also charge a small fee for ATM use (about EC$1). **Some banks, including the on-campus bank, RBTT, will allow you to withdraw up to the same maximum as your home bank. Debit cards are accepted at all banks in Grenada and most major retail establishments A bank can provide an ATM cash advance from your debit card, and the cash is deducted directly from your checking account balance. There is usually a fee per transaction for cash advances. There is also a maximum cash advance of EC $2,000–3,000 depending on the local bank you use. Traveler’s checks have a good rate of exchange; however, you will be charged EC $5.10 per transaction to cash them at a local bank and they can take as long to process as a personal check, which is six weeks. Traveler’s checks are accepted at a few retail locations in Grenada (for example, the grocery store); however, they cannot be used within the airport to pay duties. Credit cards are accepted at most restaurants and a limited number of retail locations in Grenada. A minimum charge of 10 – 20 EC is required at most places. Most local grocery stores will accept credit cards, but for campus dining, gas, going to the movies, and so forth, only cash will be accepted. Using a credit card for a cash advance usually incurs a steep fee (2% or US $20, whichever is greater). Most establishments in Grenada accept payment in US dollars, with change provided in EC dollars. Local banks will only cash out-of-country personal checks after first holding them for six to eight weeks. We do not recommend using your personal checks, please do not count on this as an option for obtaining funds in Grenada. As an alternative, local banks will accept bank checks, certified checks, or cashier checks. 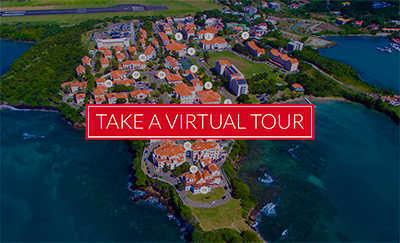 This may be a convenient way for students to transfer money from their home bank to a local account in Grenada. These checks must be certified by the Chancellery on campus before the local banks will accept them. Once certified and deposited, the money is typically immediately available. Checks such as traveler’s checks, bank drafts, money orders, and certified checks should be brought to the Chancellery Reception Desk for endorsement between the hours of 9:00 AM and 10:00 AM Collection should be made between 2:00 PM and 3:00 PM. These hours are in place to facilitate a same-day service and failure to comply may result in delay. Please note that the University cannot guarantee personal checks.